Graphs CSE 331 Section 2 James Daly. Reminders Homework 4 is out Due Thursday in class Project 3 is out Covers graphs (discussed today and Thursday) Due. 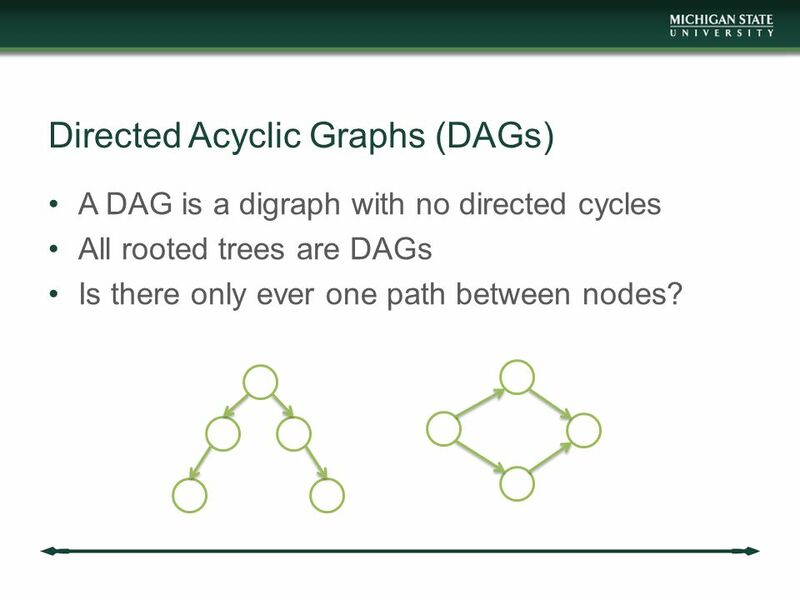 8 Directed Acyclic Graphs (DAGs) A DAG is a digraph with no directed cycles All rooted trees are DAGs Is there only ever one path between nodes? 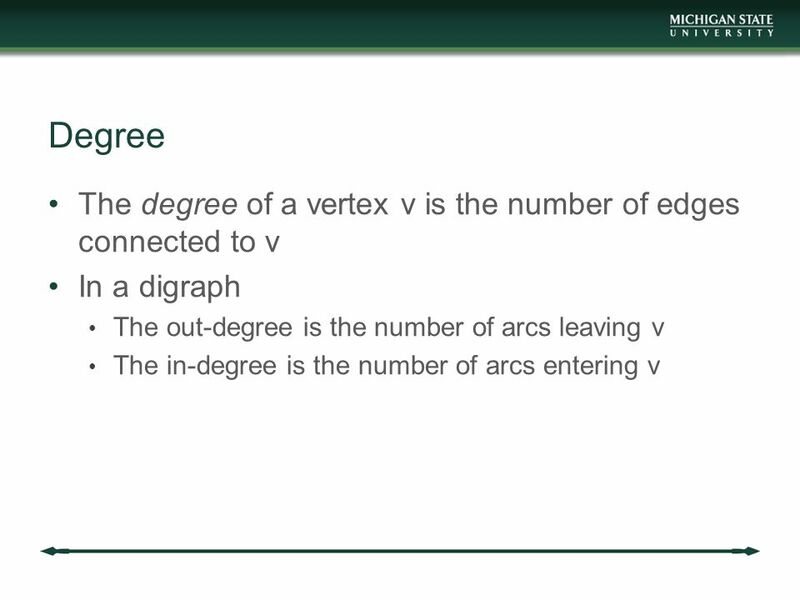 Download ppt "Graphs CSE 331 Section 2 James Daly. 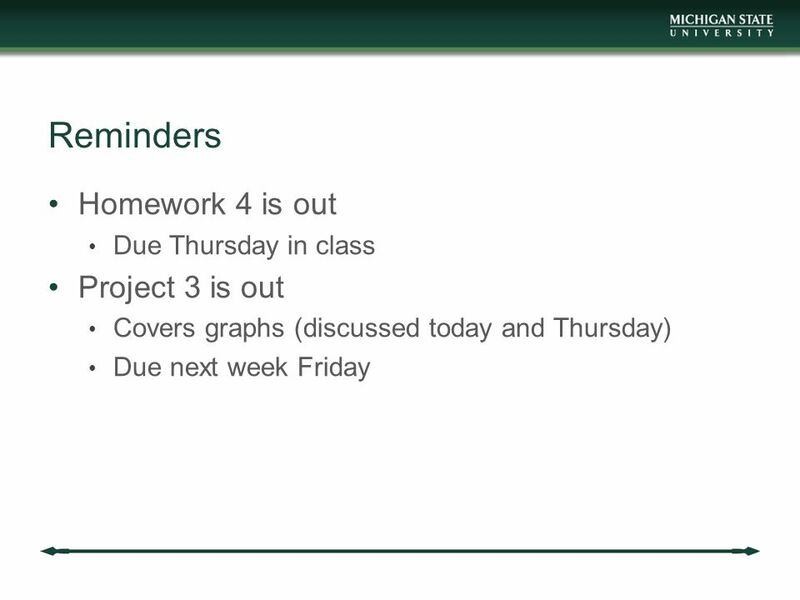 Reminders Homework 4 is out Due Thursday in class Project 3 is out Covers graphs (discussed today and Thursday) Due." 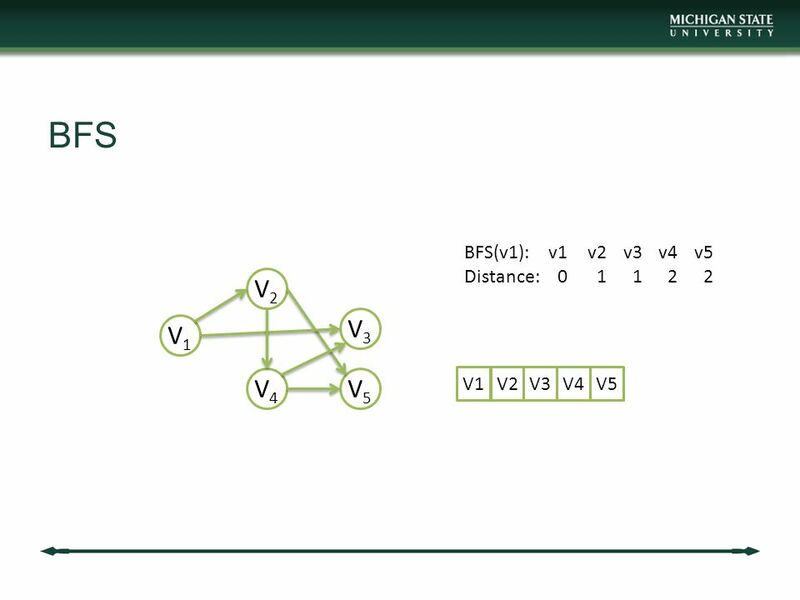 §5 Minimum Spanning Tree 【 Definition 】 A spanning tree of a graph G is a tree which consists of V( G ) and a subset of E( G ) 〖 Example 〗 A complete. CS 253: Algorithms Chapter 22 Graphs Credit: Dr. George Bebis. 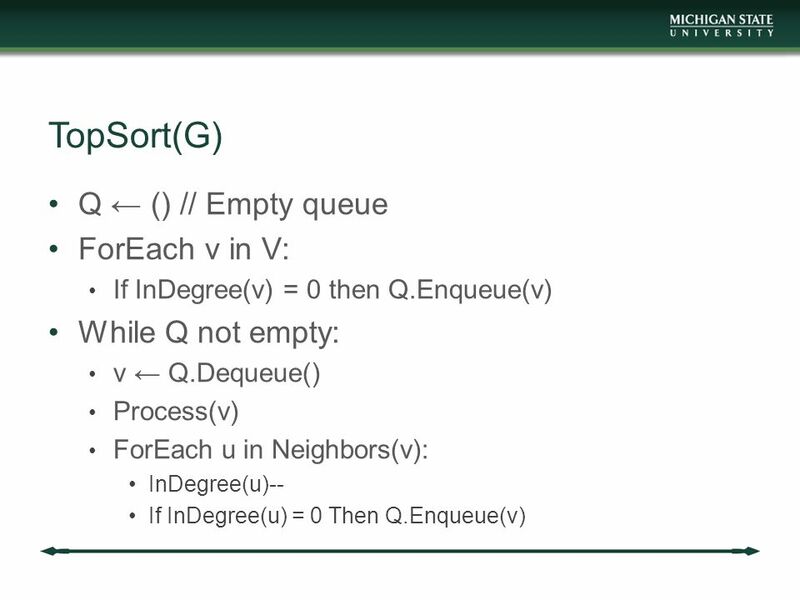 0 Course Outline n Introduction and Algorithm Analysis (Ch. 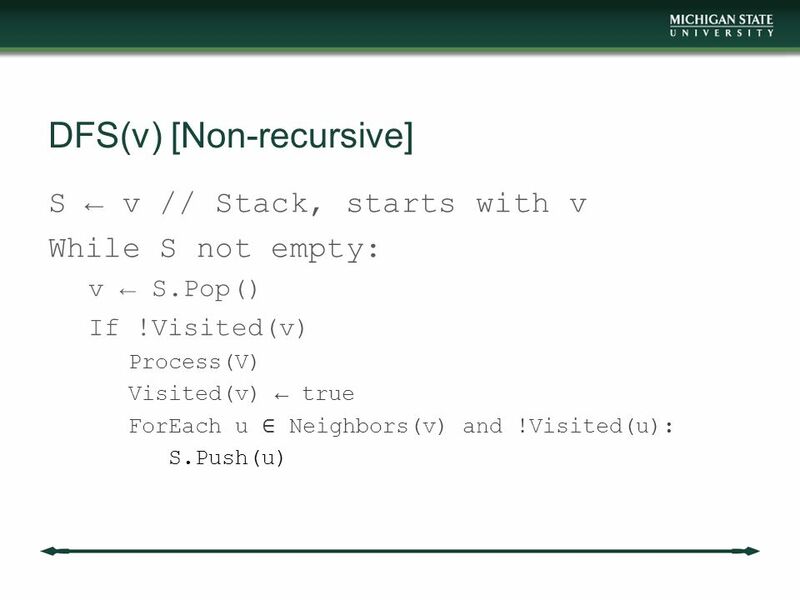 2) n Hash Tables: dictionary data structure (Ch. 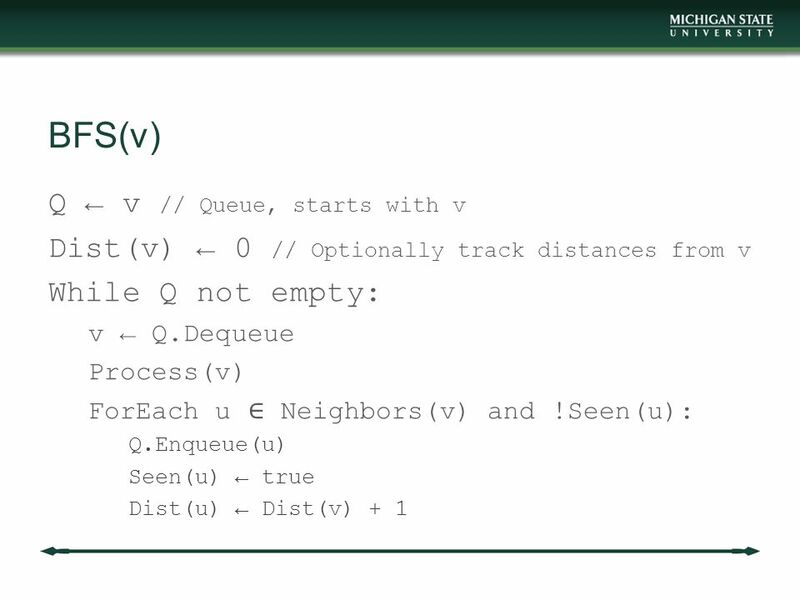 5) n Heaps: priority queue data structures. 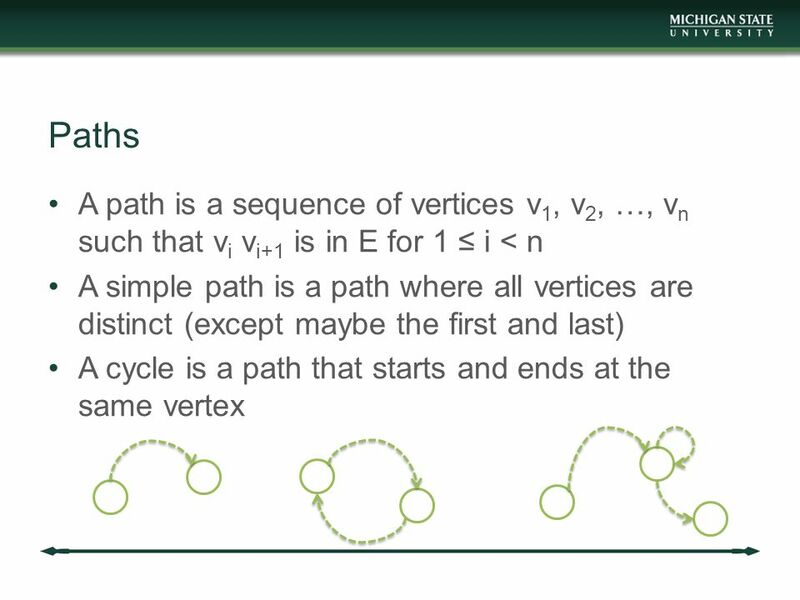 CSE 390B: Graph Algorithms Based on CSE 373 slides by Jessica Miller, Ruth Anderson 1. CS 206 Introduction to Computer Science II 03 / 27 / 2009 Instructor: Michael Eckmann. 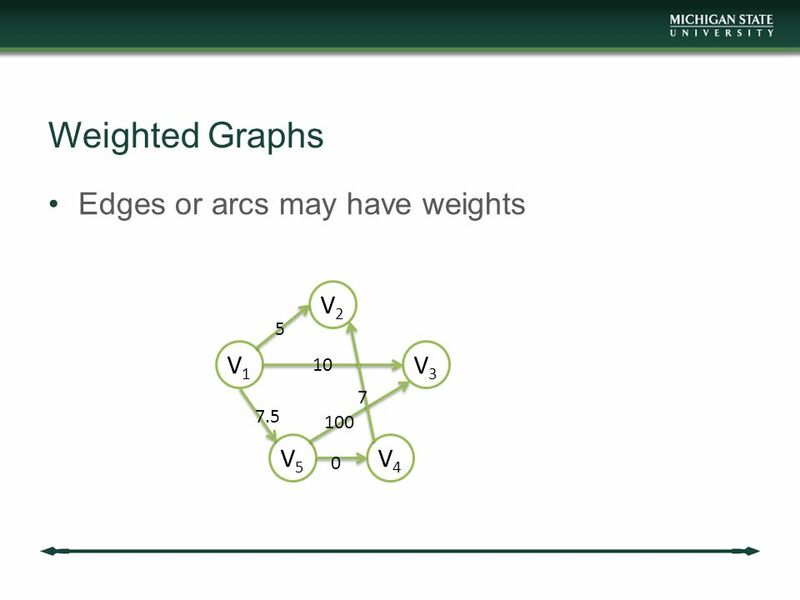 CSE 2331/5331 Topic 11: Basic Graph Alg. 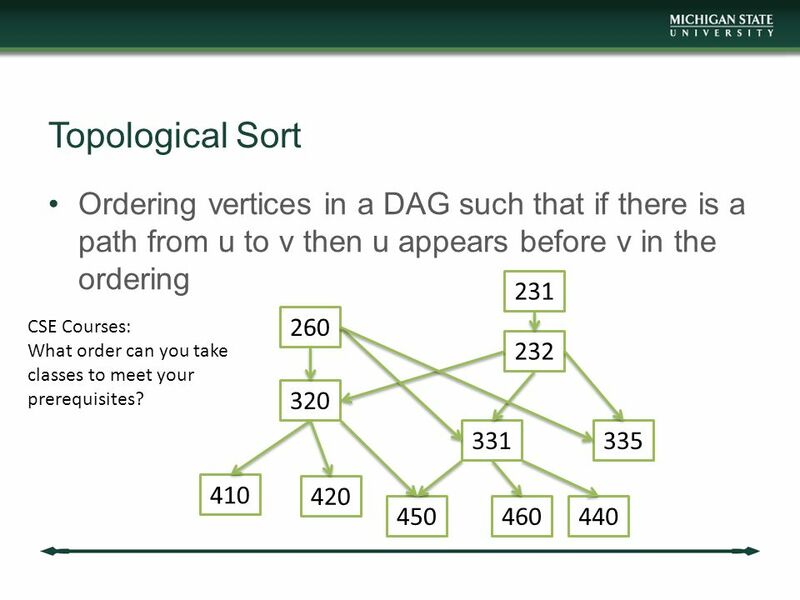 Representations Undirected graph Directed graph Topological sort. 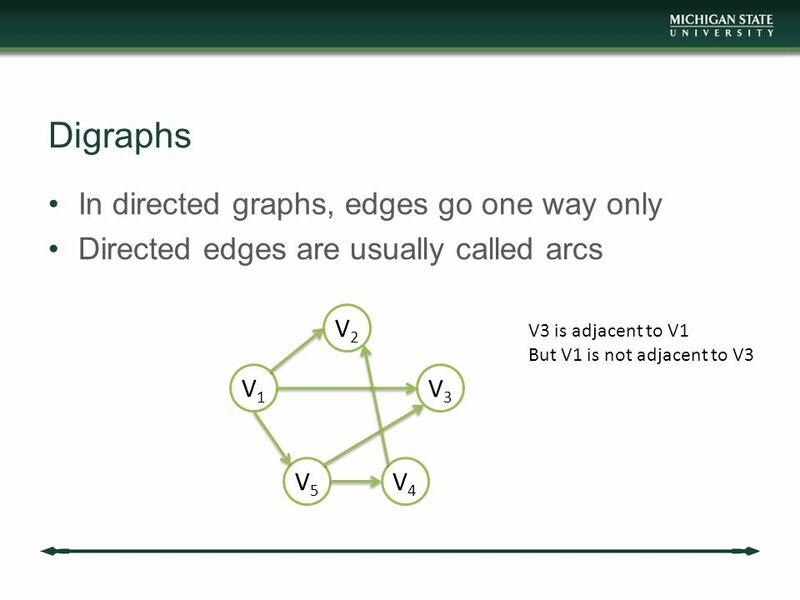 Graph A graph, G = (V, E), is a data structure where: V is a set of vertices (aka nodes) E is a set of edges We use graphs to represent relationships among. 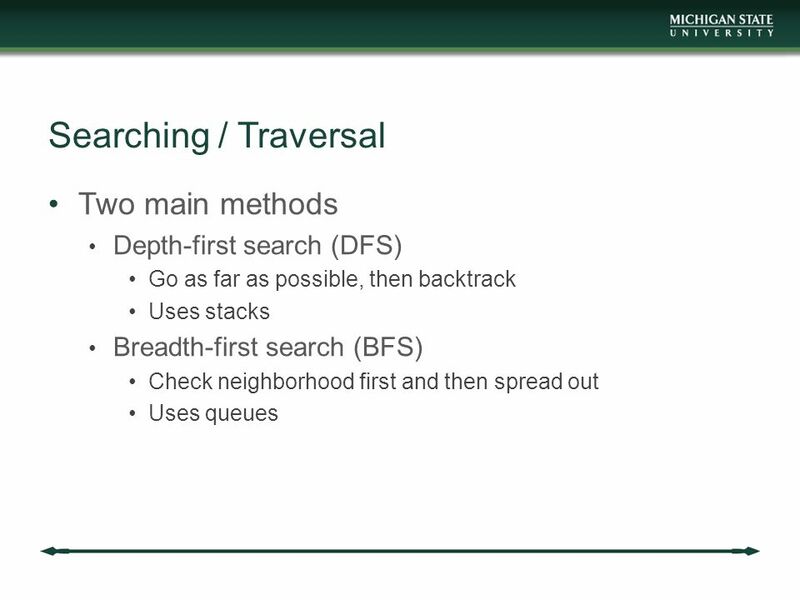 1 Graphs: Traversal Searching/Traversing a graph = visiting the vertices of a graph by following the edges in a systematic way Example: Given a highway. CS 206 Introduction to Computer Science II 11 / 07 / 2008 Instructor: Michael Eckmann. Graphs COL 106 Slide Courtesy : Douglas W. Harder, U Waterloo. CS 206 Introduction to Computer Science II 11 / 11 / Veterans Day Instructor: Michael Eckmann. 1 Representing Graphs. 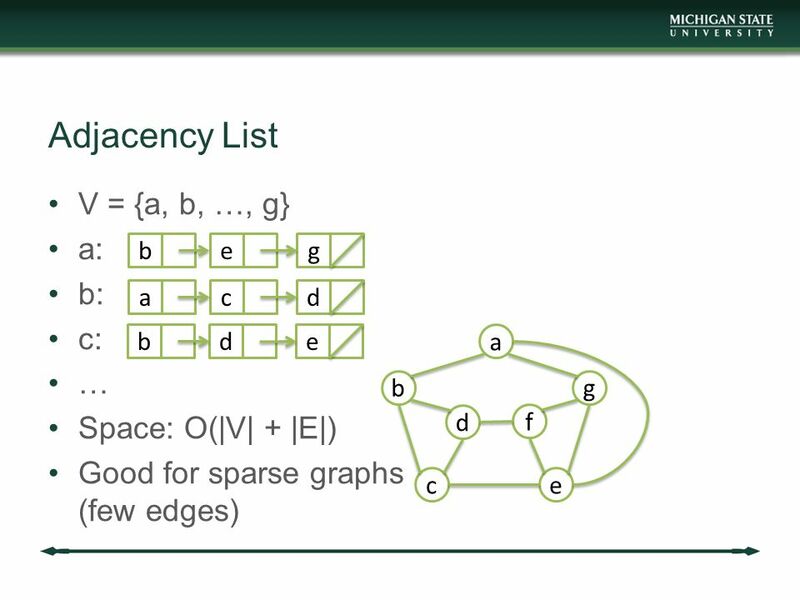 2 Adjacency Matrix Suppose we have a graph G with n nodes. 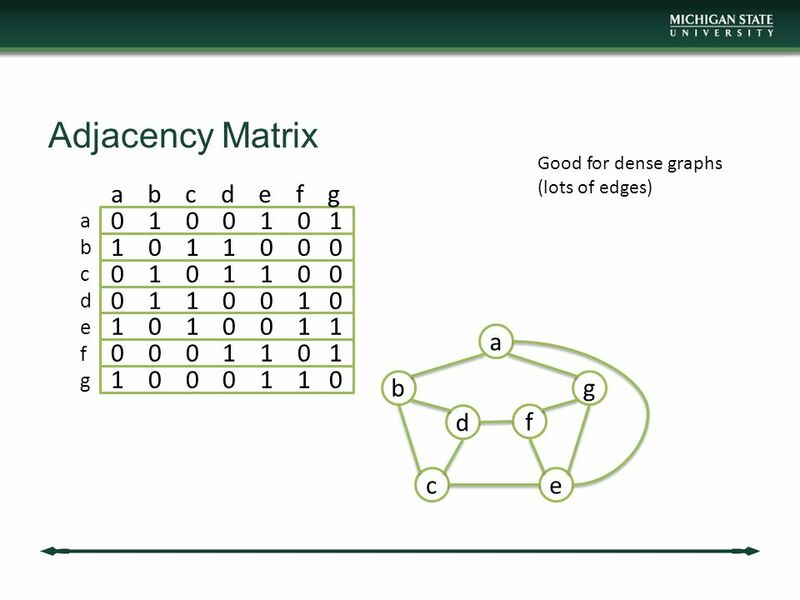 The adjacency matrix is the n x n matrix A=[a ij ] with: a ij = 1 if. Graphs CS-240/341. 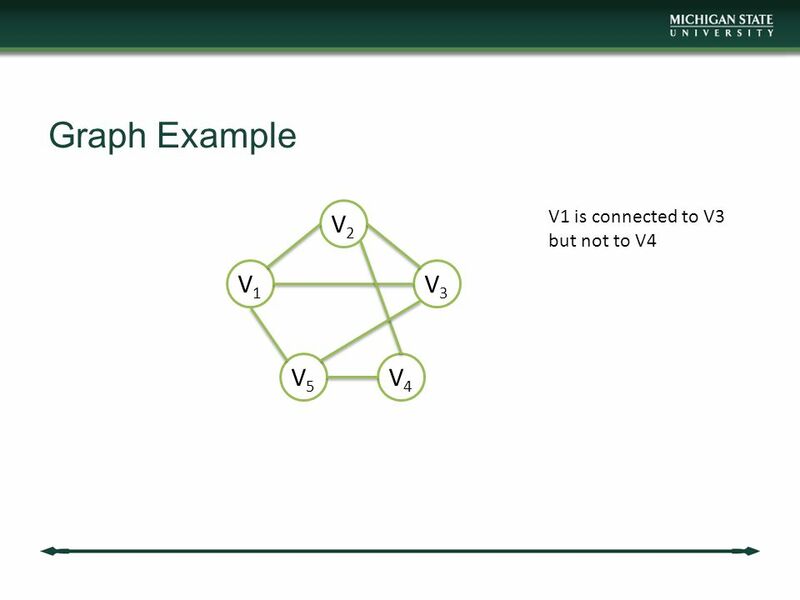 Graphs Used for representing many-to-many relationships –can take two forms directed (digraph) - a finite set of elements called vertices. 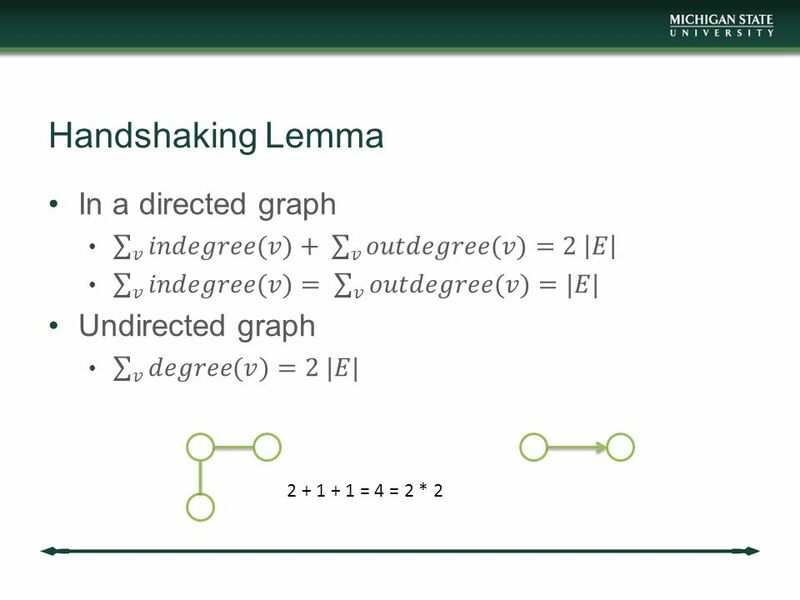 CS 311 Graph Algorithms. 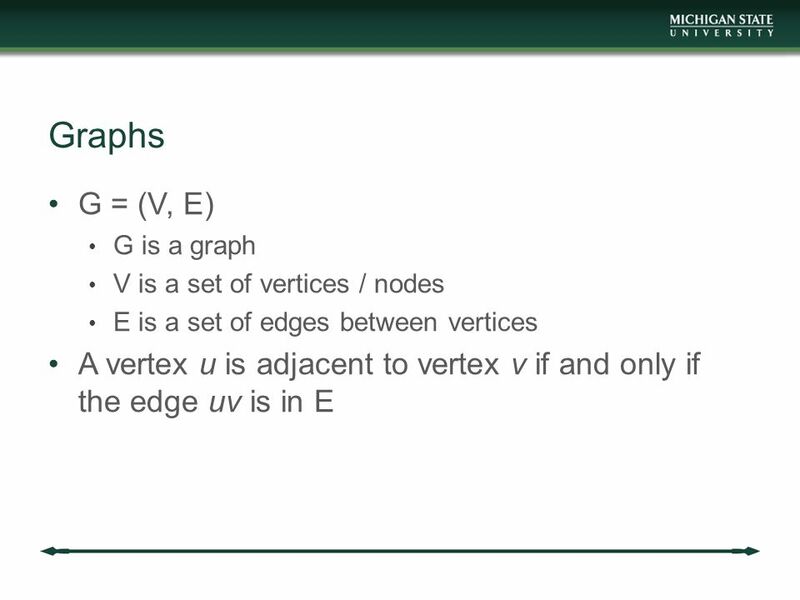 Definitions A Graph G = (V, E) where V is a set of vertices and E is a set of edges, An edge is a pair (u,v) where u,v  V. If. Nyhoff, ADTs, Data Structures and Problem Solving with C++, Second Edition, © 2005 Pearson Education, Inc. All rights reserved Graphs. Graphs. 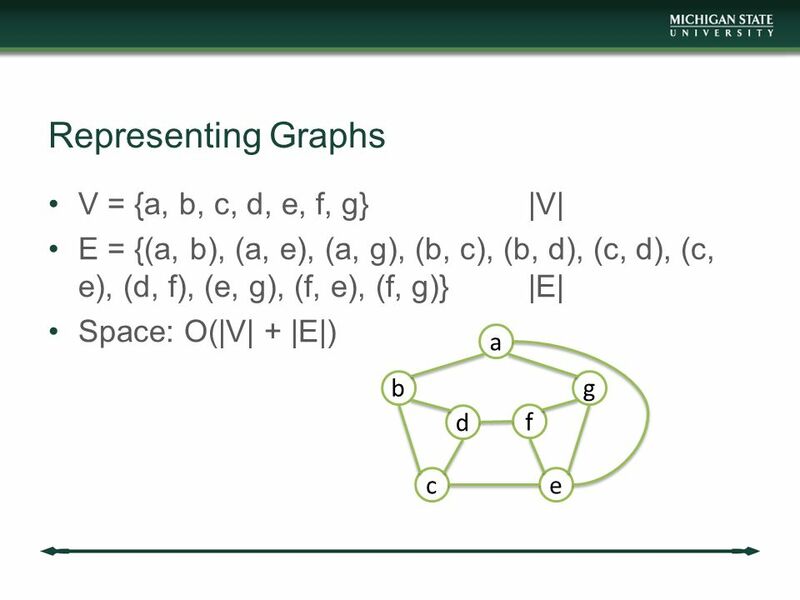 What is a graph? 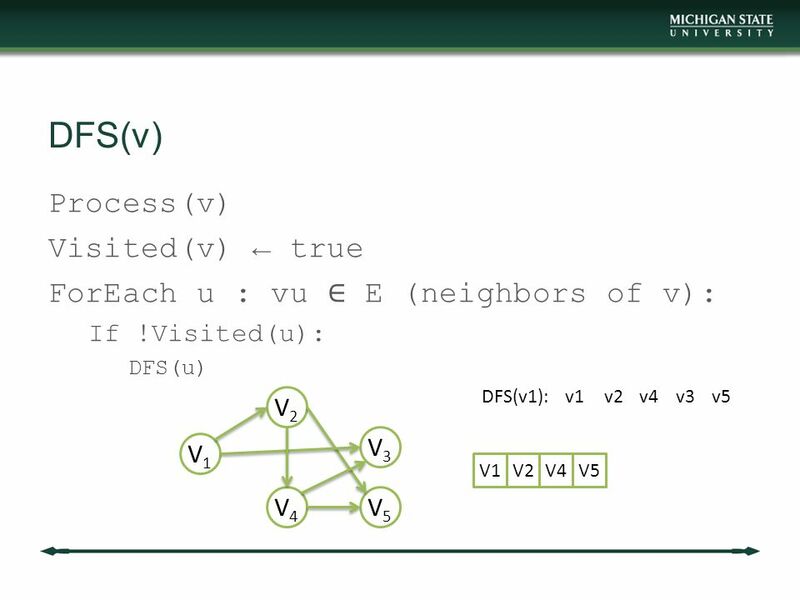 A data structure that consists of a set of nodes (vertices) and a set of edges that relate the nodes to each other The set of.